On Manhattan’s West Side, a new neighborhood is being built. 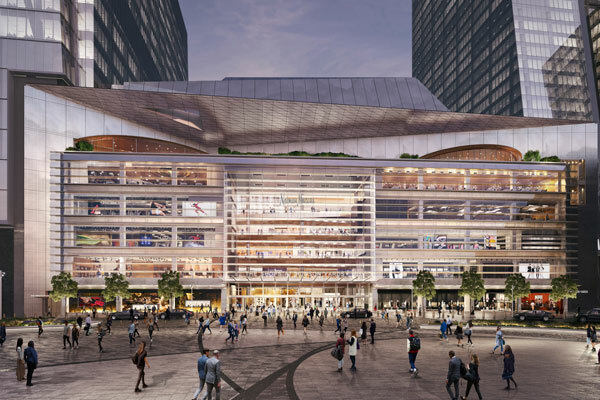 Hudson Yards is the largest private real estate development in US history, going up atop a rail yard with more than 30 active train tracks, in a congested part of Midtown. The development will include 18 million square feet of commercial and residential space, 14 acres of public open space, a 750-seat public school, and more than 100 retail stores, the largest of which will be Neiman Marcus’s 190,000-square-foot flagship location. The luxury department store, set to open in March 2019, is emblematic of the future of brick-and-mortar shopping, combining traditional retail and in-store experiences. 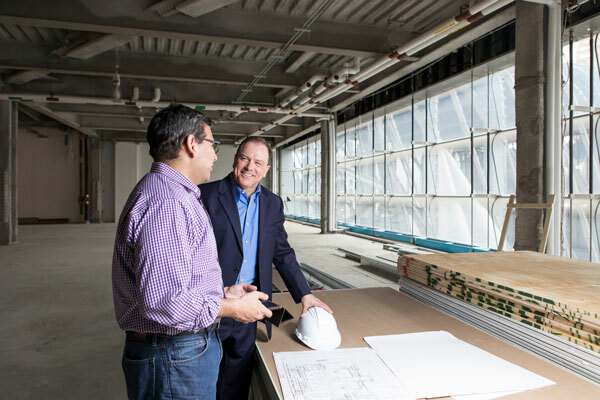 For Mark Boraski, vice president of property development, facilities, and construction for Neiman Marcus Group, it’s the pinnacle of his career. “I’ve been involved in thousands of projects over the years—none as exciting and challenging as this one,” he says. 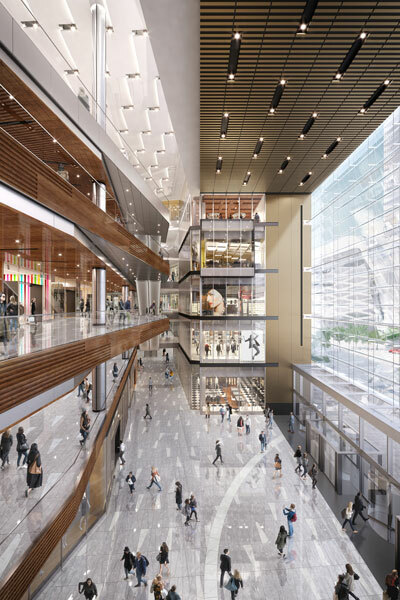 The completed Midtown Neiman Marcus will feature several entrances, a concierge desk, and digital directors both outside and inside the building to guide shoppers through the multilevel store. To amplify the easy access from street level, Neiman Marcus and the developer’s team built a lobby on 10th Avenue, with a concierge desk and three passenger elevators that open directly into the store on floors five, six, and seven. For those entering from the west, through the retail podium, digital directories both outside and inside the building will guide shoppers to the store. In addition to shopping, Neiman Marcus will also offer multiple food and beverage spaces, beauty services, and special-event and entertainment spaces. The retail venue is well positioned to address the evolving interests of a consumer base that increasingly shops online. “A lot of thought was put into engaging the customer through experiences and giving them a reason to come inside,” Boraski says.